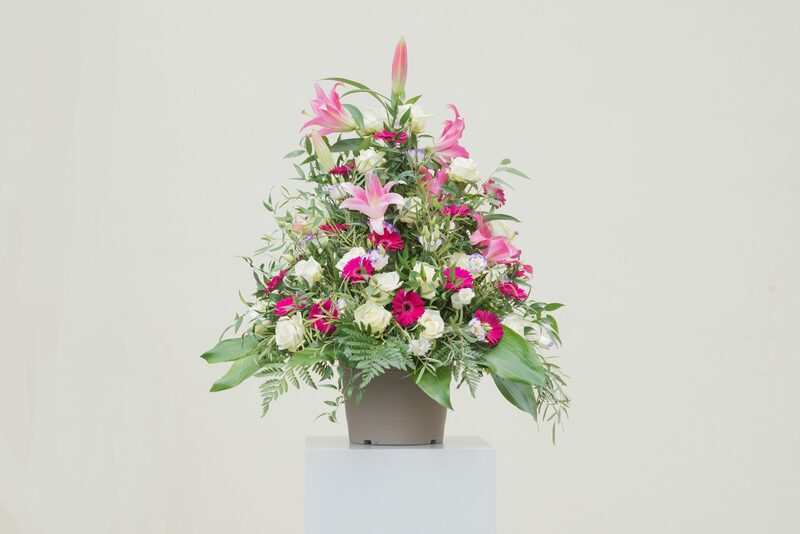 We will arrange a funeral respecting the wishes of the deceased and those of their loved ones. Our bespoke, compassionate and dignified services cover all aspects of funeral organisation and assistance. Our product and services range suits every need and budget, even if you have no funeral fund and are not member of a friendly society. We offer discreet and professional advice in our dedicated offices in Hamm and Ettelbruck. The funeral service is a crucial moment in the grieving process. The ceremony, the burial and the various decisions that need to be taken for the memorial service are key stages in the grieving process. The ceremony and the cemetery are usually chosen by the deceased or their family. We will do our utmost to assist you with the various procedures. Flowers to pay tribute to the deceased. Flowers can express your relationship with the deceased; they can mirror their personality or their personal taste and preferences. The different floral arrangements – wreaths, posies or pads – are a reflection of your sympathies and feelings for the deceased. 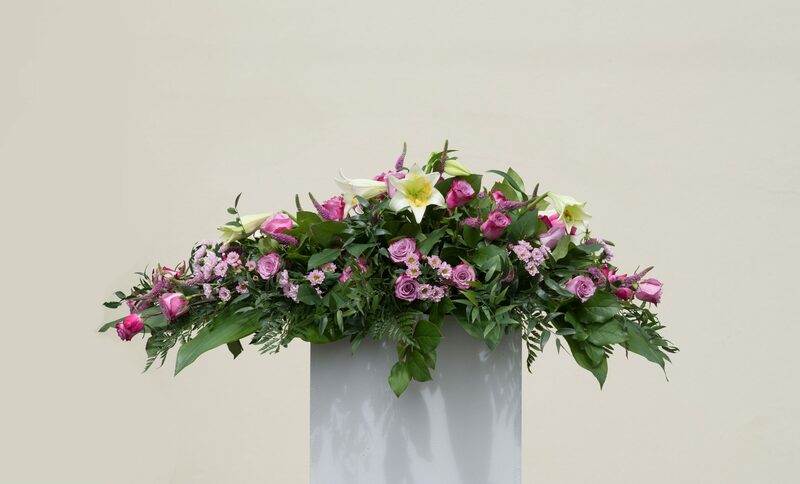 We offer advice on which florist might best suit your needs. The family can pick a bespoke score for the ceremony. Musical pieces chosen by the family may be played during the ceremony. They can contribute to the atmosphere of the ceremony, making it feel like an intimate gathering of the bereaved around a person they knew well and enhancing a sense of community, supportiveness and shared emotions. 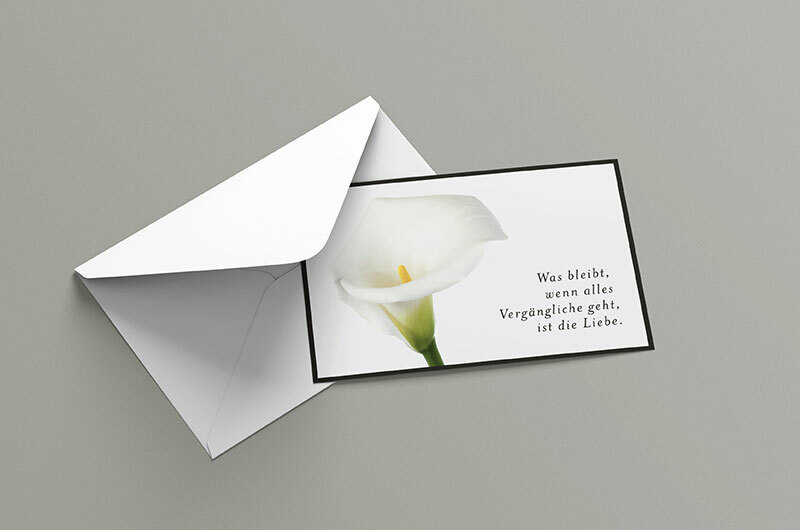 In addition to an announcement in the newspaper a death can also be communicated through announcement cards. 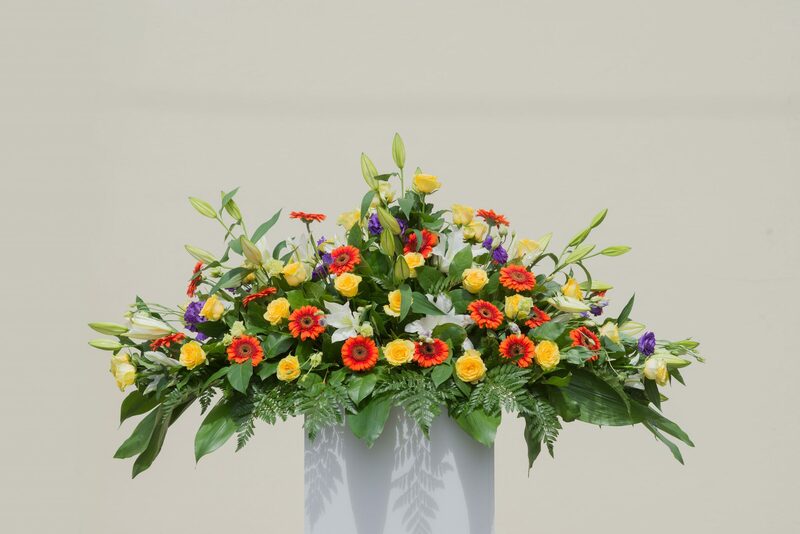 We assist you in finding the right words to communicate the practical details of the memorial service or in making the announcement an expression of your personal thoughts and feelings. 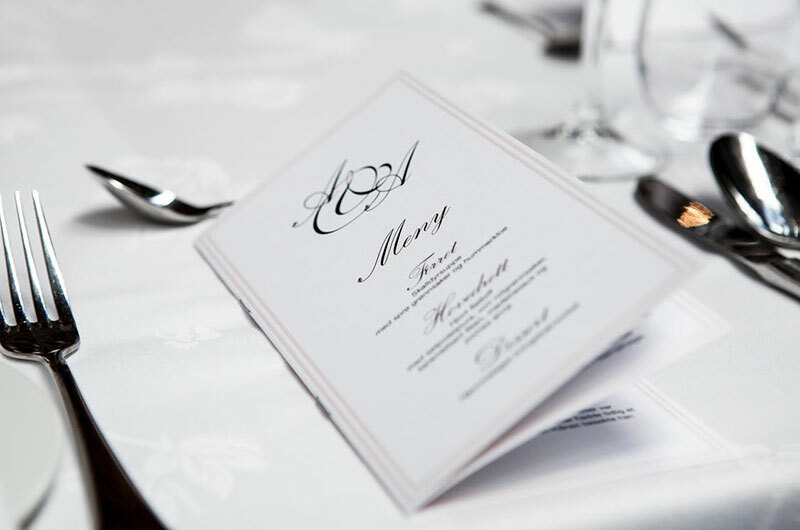 We help you pick the right announcement that fits your individual situation and that respects your ethical and religious beliefs. 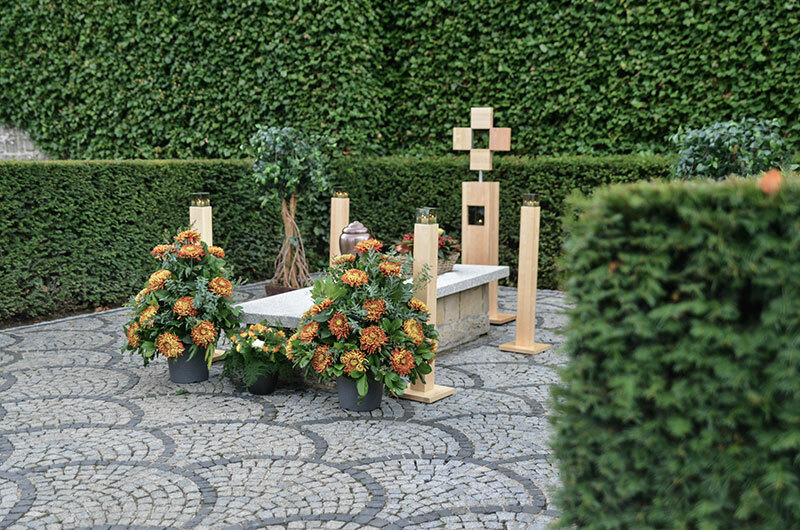 A reception after the memorial service is an opportunity for guests to pay their collective respects to the deceased. Exchanging memories, making one’s thoughts and feelings known – the reception after the memorial service is a crucial first step in the grieving process. It is also an opportunity for friends and family of the deceased to get together and talk, thus helping and supporting one another through these difficult circumstances. Do not hesitate to contact us if you would like us to pick a venue, book a restaurant or hire catering services for the event. 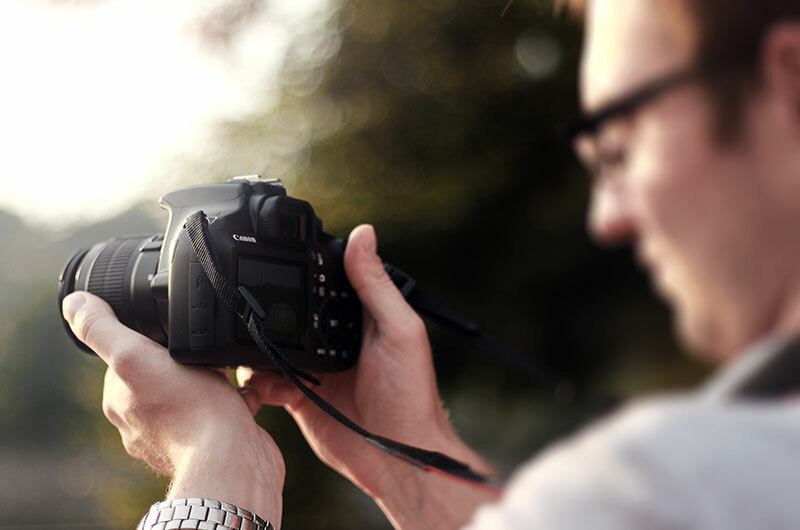 Photographs are there to keep the memories of the deceased alive. 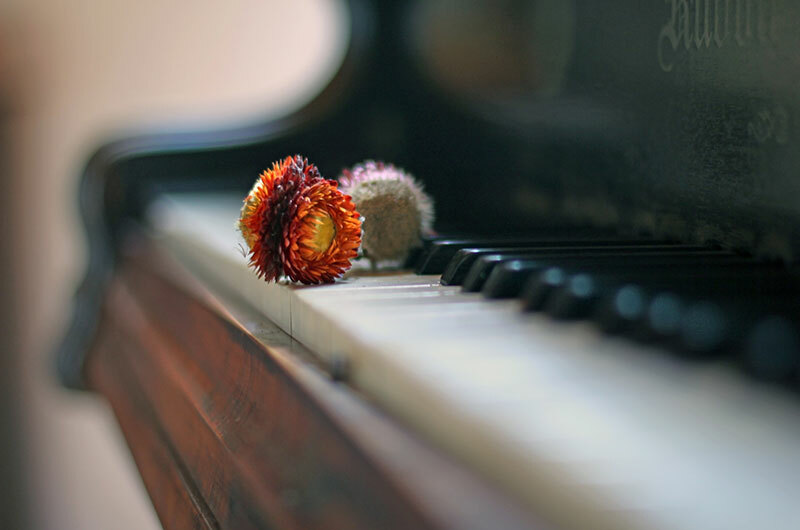 The funeral service is the last opportunity to say good-bye to your loved one and is therefore of great significance. At your request we can hire a discreet photographer to capture these crucial moments so that you can remember them forever. 'Death does not separate us from the living.' 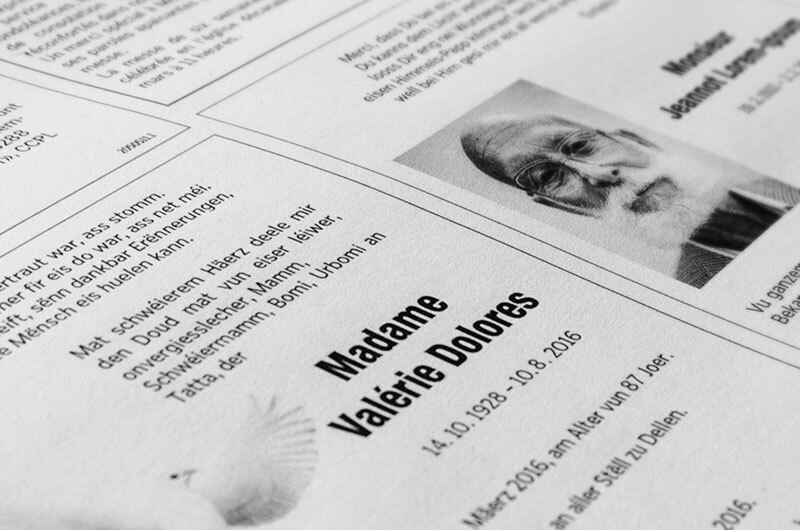 – The announcement while being of an informative nature also pays tribute to the deceased. Informing friends and family of the passing away of a loved one with an announcement can relieve some of the loneliness that tends to overwhelm us in difficult circumstances. We can help you draft an announcement that pays respect to the person you have lost and we take care of communicating the announcement to the media of your choice.